Spotify is among the major players in the streaming music game, and in spite of its significant user base, the company remains squarely focused on driving up membership numbers. In its latest promotion push, Spotify is offering its ‘Premium’ service to users for three months for just $0.99, which costs $9.99 regularly for one full month. 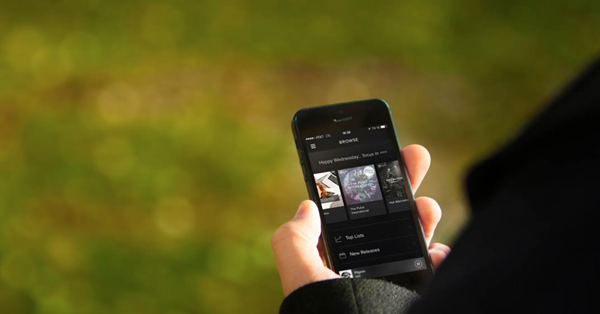 Spotify has long since offered new customers the one month of free access, but by tethering users to a very small monthly fee – and giving them 12 weeks to find their feet – the chances of subsequent retention seem much stronger. After the three months are up, users will be invited to continue their subscription by stumping up the usual $9.99 per month, and with many likely to have invested time and effort in building up offline playlists and such, those who agree to this deal are seemingly likely to join for the long haul. The streamer is already integrated into a bunch of services, and along with the feature-packed Web app, there are also editions for Windows, OS X, Android, iOS and Windows Phone. If you do take Spotify up on the option of $0.99 for the first three months, you’ll be able to utilize it on any and all of the platforms you regularly use, although limitations are imposed on the number of devices that can keep offline playlists at any one time. As well as offline benefits, Premium users also enjoy uninterrupted listening thanks to the lack of advertisements, and if you’re a big music fan, this is one offer definitely worth checking out. The $0.99 offer is only available to residents in the U.S. though, so if you don’t currently reside Stateside, the best new users can hope for is the one month of free Premium access. The recent deal between Spotify and Uber, which sees users able to control the music being played as they’re carted around in the taxi of the Digital Age, suggests that not only is Spotify in this for the long haul, but that those less-established services looking to make ground are going to have a real job on their hands. You’re willing to pay thousands of bucks on your Mac, iPhone and other Tech gadgets but you want to save money on Apps and Spotify. Act respectfully and pay decently for the content as well and support the artists who charm you life everyday with the music you enjoy!